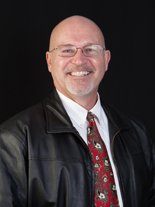 Ever wonder why Sequim residents refer to their area as the “banana belt”? They can thank the Olympic Rain Shadow. The Olympic Mountains act as a wall that protects the northeastern Olympic Peninsula and San Juan Islands from the bulk of the rain that moves into the Pacific Northwest. The dominant airflow during rainy days around here is from the southwest. As that air runs into the southwestern face of the Olympics, the mountains push the air upward. On the flip side, once the air reaches the Olympic Summit, now it’s pretty much lost its moisture. As it goes over the top of the mountains and comes down the northeastern slopes, it sinks. And just like rising air condenses, sinking air dries out as it encounters warmer air near the surface. So you already have semi-dry air becoming even drier.As the air lifts, it condenses and squeezes out its moisture — think of it as the mountains acting like a sponge soaking up and then squeezing out the rain. That’s the reason there are vast rain forests on the southwestern side of the Olympics. They receive over 200 inches of rain a year. And, of course, Sequim sits on the northeast side of the Olympics, so they are almost always in this dry slot — although the shadow affects Port Townsend and the San Juan Islands as well. 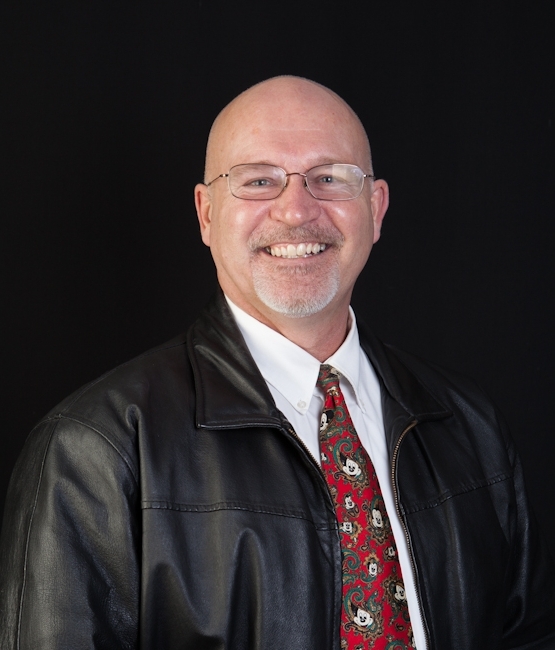 Sequim only gets about 18 inches of rain a year. Meanwhile, just 90 miles to the west, Forks receives over 120 inches of rain a year. Check out this map of state annual rainfall totals. You can see how dry it is around the Sequim area, and how wet it is on the southwest side of the Olympics. One interesting statistic: Port Angeles receives about 27 inches of rain a year. However, for each mile you go west of that city, you pick up an extra inch of annual rainfall. 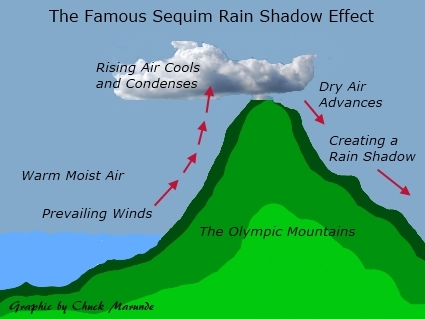 But the Olympics just don’t cast their rain shadow over Sequim. In cases where the wind pattern is more westerly, the shadow will then be over the Seattle Metro area. That’s why Seattle only receives about 37 inches of rain a year — there are plenty of rainy days where Seattle gets less than others as we get the benefit of the rain shadow. If the Olympics weren’t there, Seattle would probably get closer to 50-60 inches of rain a year. And of course, almost all of Eastern Washington is in the Cascade Rain Shadow. The physics are the same — the Cascades squeeze out most of the moisture and leave very little to make it over to Eastern Washington. That’s why it’s so dry over there. Meanwhile, rainfall totals pick up once again as you head into the western Cascade foothills. 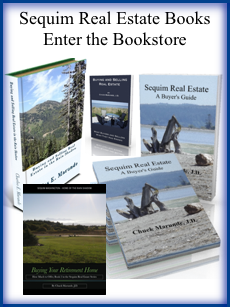 One Response for "Sequim Rain Shadow – A Technical Explanation"
Thank you. People don’t believe it when I tell them about Sequim weather. Now I can better explain.